Another trip to a different Old Navy results in the acquisition of the item I have been coveting for years. 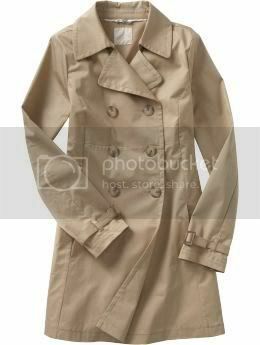 I can't even say how long I have been yearning for a trench coat. Something about them just says classy to me. 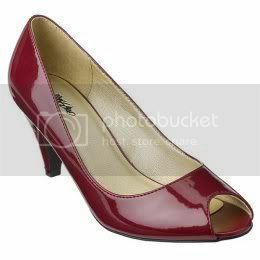 They remind me not only of smartly dressed women from the 40's, but women of the 70's too. I'd love to pair it with some great trousers, a basic white shirt and a vest a la Annie Hall/Diane Keaton. And a quick stop off at a nearby Target allowed me to pick up the shoes I've been debating on buying for a few weeks now. They happened to be on sale, so how could I say no? Yay, glad you found one! Nothing like a good shopping victory to cheer you up.